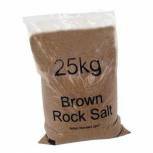 Winter Dry Brown Rock Salt 25kg (Pack of 40) 383578 Pack of 1 Brown Rock Salt, 10 x 25kg Bags. 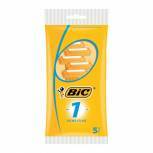 Contains a small quantity of anti-caking additive to maintain spreading properties after prolonged storage. Meets BS 3247. 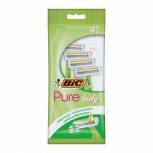 Not as pure as white salt and therefore not as clean to use. Non-Returnable. 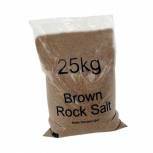 Dry Brown Rock Salt 25kg Bag (Pack of 20) 384072 Pack of 1 Brown de-icing rock salt. 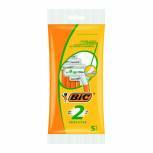 Contains a small quantity of anti-caking additive to maintain spreading properties. Not as pure as white salt and is likely to leave a residue on the ground. Complies with BS3247. Pallet 20x25Kg. Non returnable. 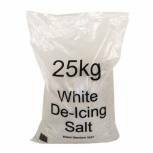 Winter De-Icing Salt Bag 25kg High Purity 374674 Pack of 1 De-Icing Salt, 25kg Bag. 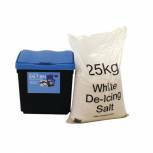 White, high purity de-icing salt enables you to use less salt far more effectively. Clean to handle and leaves no residue on the ground. Complies with BS 3247Non-Returnable. 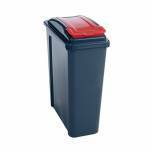 30 Litre Grit Bin and 25kg Salt Kit 389113 Pack of 1 Kit includes 30 litre bin and 1 x 25kg bag of de-icing salt. Includes scoop for spreading. Tough durable plastic. W370 x D280 x H390mm. 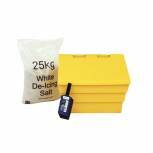 50 Litre Grit Bin and 25kg Salt Kit 389115 Pack of 1 Kit includes 50 litre bin and 1 x 25kg bag of de-icing salt. Includes scoop for spreading. 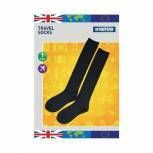 UV resistant polyethylene. W590 x D420 x H450mm. 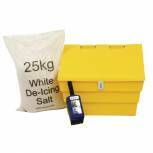 50 Litre Lockable Grit Bin and 25kg Salt Kit 389116 Pack of 1 Kit includes 50 litre bin and 1 x 25kg bag of de-icing salt. Includes scoop for spreading. UV resistant polyethylene. Lockable - padlock not supplied. W590 x D420 x H450mm. 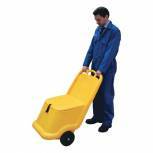 Mobile Salt and Grit Bin 75 Litre Yellow 388946 Pack of 1 Mobile salt and grit bin with rubber wheels. 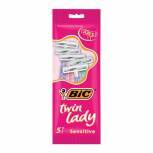 Ideal for difficult to reach areas. Ergonomic handle - can be pushed or pulled. 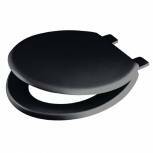 Lid keeps contents dry and can be fixed in a vertical position. 75 litre. W590 x D435 x H1070mm. 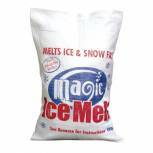 Magic Ice Melt De-Icer Crystals 10kg Bag 357456 Pack of 1 Melts ice and snow fast. Won't damage carpets, floors or plants. Will work even on hard packed ice and deep snow. 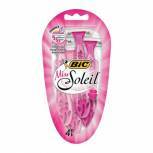 Easy to use and non-corrosive. 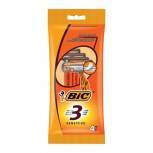 Makes your streets, driveway or car park safe for walking and driving. Capacity: 10kg. Non returnable.